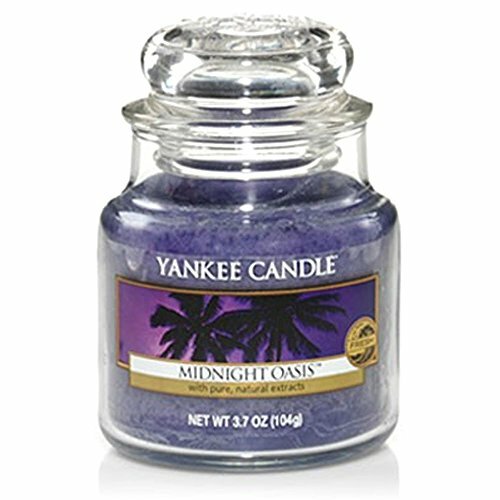 We are currently selling the acclaimed Yankee Candles Midnight Jasmine 3.7oz (104.9g) Small Jar Housewarmer at a slashed price. 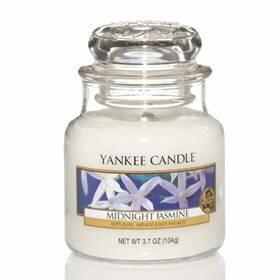 Don't pass it over - buy the Yankee Candles Midnight Jasmine 3.7oz (104.9g) Small Jar Housewarmer here today! Transform any space into a sweet oasis with the seductively lush perfume of water jasmine, sweet honeysuckle, neroli, and mandarin blossoms. The Yankee Candle Midnight Jasmine Tea Lights fills your home with the honeyed scent of these beautiful flowers, creating a relaxing and beautiful space.